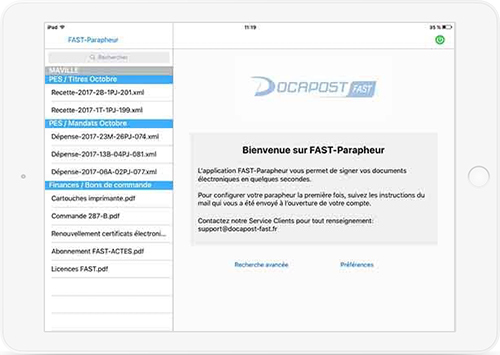 FAST-Parapheur is the electronic signature service offered by Docapost-Fast, a trusted electronic service provider for businesses and local authorities. 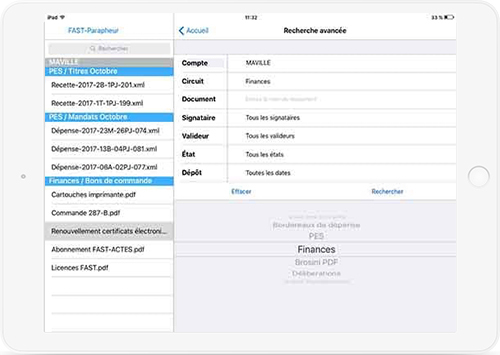 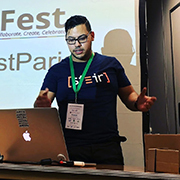 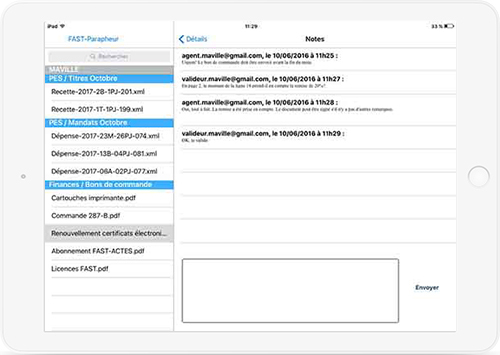 The FAST-Parapheur for iPad is a user-friendly and fast-to-use application that allows you to electronically sign any document in PDF format made available on the application, while strictly respecting article 1316-1 of the Civil Code (giving the electronic signature the same value Than the handwritten signature). 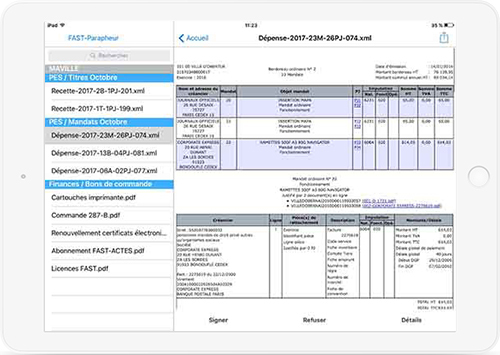 In addition to facilitating the daily life of its users, FAST-Parapheur contributes to the preservation of the planet by reducing the consumption of paper.